Assupol Life is a tested and tried insurance company in South Africa which has survived the country’s history span. Established in 1913, this esteemed insurance house now provides insurance covers to millions of people with regards to death, disability, health or even disability. The Assupol funeral cover ensures that the deceased and their families enjoy some comfort and decency during and after the funeral. The Assupol funeral cover is broken down into the excellence family funeral plan and the absolute advantage family funeral plan. The excellence family funeral plan is tailored to provide finances for the policyholders funeral as well as dependents funerals. The absolute advantage family funeral plan caters for more than funeral benefits such as family income benefit which pays R1000 per month for six months after the death of the main life insured. Assupol Life also offers clients life cover insurance which has different options such as the progress 4sure plan, the progress legacy plan and the progress accident plan. 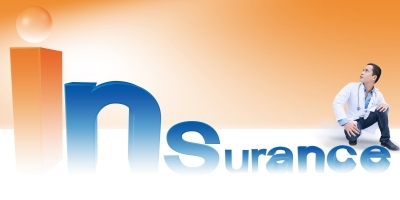 The progress 4sure plan pays up to R300000 upon the clients death, R10000 funeral cover for the policyholder and spouse and this policy can also be used as security for debt or home loans. The progress accident plan covers up to R1 million for claims due to an accident or if the policyholder or family members are injured in an accident. The progress legacy plan provides the benefits of a life cover but prospective clients have to undergo a medical test. The future peace and comfort of the citizenry is a concern to Assupol. It is for this reason that they innovatively came up with the retirement annuity plan. The retirement annuity plan provides clients with a range of investments options to choose from. Clients can also add a benefit so that they don’t pay premiums if they are disabled and the savings on this plan are protected against creditors. Money saved under this retirement plan is made available to clients from the 55th birthday. Assupol has indeed brought the much needed difference to this delicate industry. Assupol Life can be contacted on 0861848444.